With its thirst for adventure and superb road holding abilities, the Kadjar X-Mod is primed to head off the beaten track. Based on the Zen equipment level, the Kadjar X-Mod comes complete with roof bars, Mineral Grey front and rear skid plates and special 17-inch wheels. 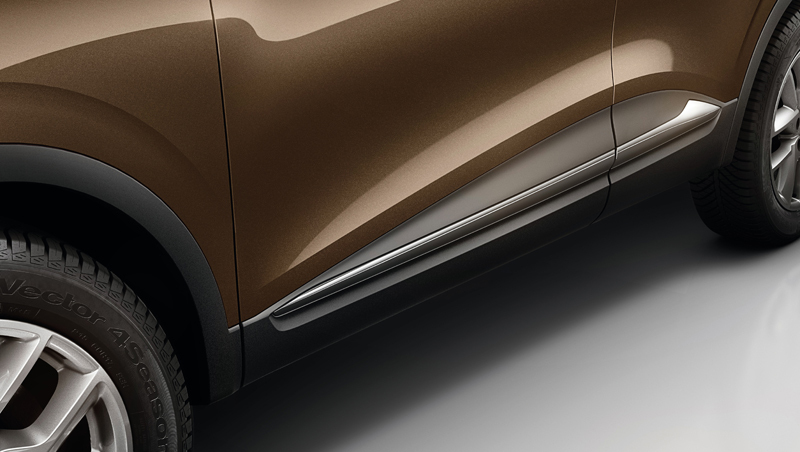 Kadjar branding on the front door sills adds to its distinctive style. 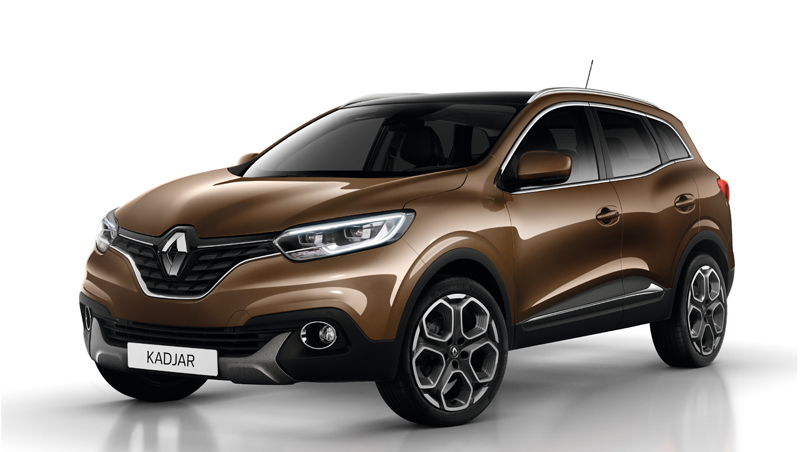 Inside, the exclusive upholstery, door handles and dashboard cowling are enhanced by ochre visible stitching that underlines the Kadjar X-Mod’s bold personality. It is equipped with ‘Mud and Snow’ tyres in both two-wheel-drive (mated with Extended Grip) and all- wheel-drive versions. The Kadjar X-Mod is not only honed for adventure, however, and its similarly impressive levels of versatility and comfort are due to features taken from the next version up in terms of modularity and driving aids. It comes as standard with the Easy Break system, which automatically folds the 60/40-split rear seats, while the front passenger seat back tips forward to form a small table. There is also an armrest for second row occupants and additional storage space underneath the centre console armrest. 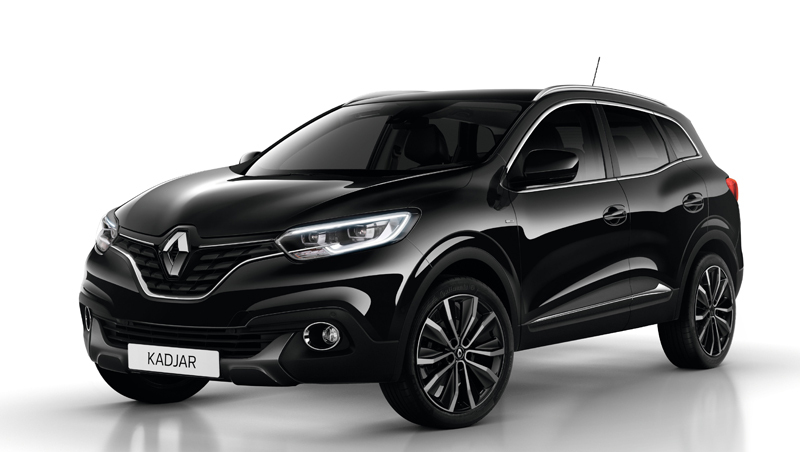 The Kadjar X-Mod benefits from road-sign recognition, lane departure warning and automatic headlights. 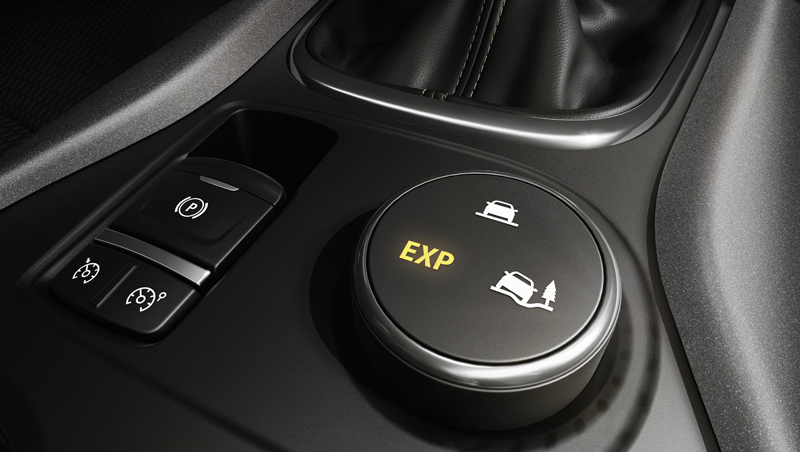 Finally, automatic climate control and rain and light sensors add to the driving pleasure delivered by the Kadjar X-Mod. 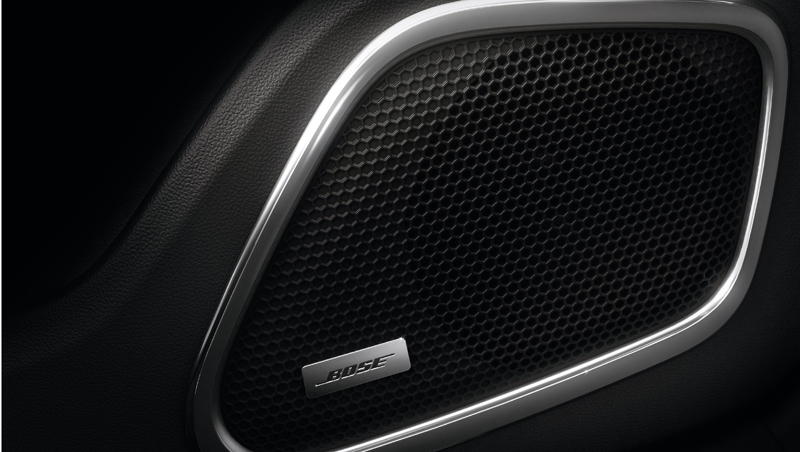 The Kadjar Bose® combines sporty elegance with a unique listening experience for even higher levels of distinction and driving enjoyment. 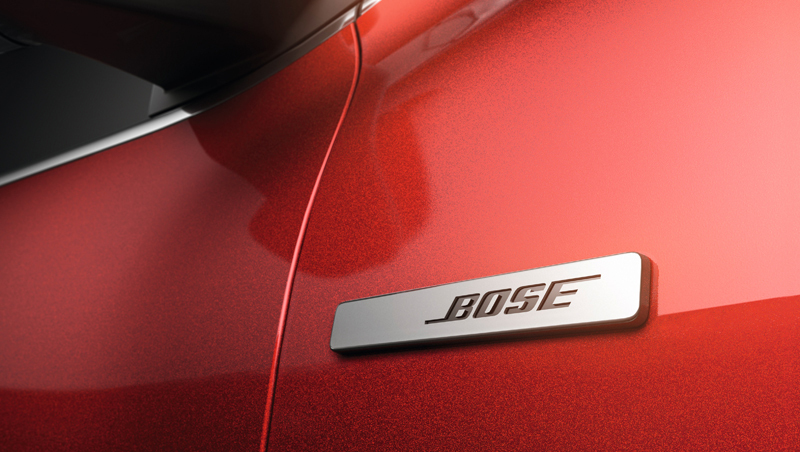 Based on the Intens trim level, the Kadjar Bose® boasts full LED lights, gloss black door mirror housings, 19-inch diamond-effect alloy wheels, Bose® badging on the fenders and the logo on the door sills. This version also comes as standard with Easy Park Assist and a back-up camera, both of which are optional features with the Intens model. Inside, the accent is very much on refinement, with a colour blend of Scandium Grey and Charcoal, chrome-rimmed speakers at the bottom of the doors and exclusive upholstery with light grey piping for an added touch of elegance. The steering wheel is trimmed with Nappa leather, while black leather seats are also available as an option. - 1 subwoofer located in the boot, providing the entire cabin with deep, rich bass that gives the music its emotional impact.